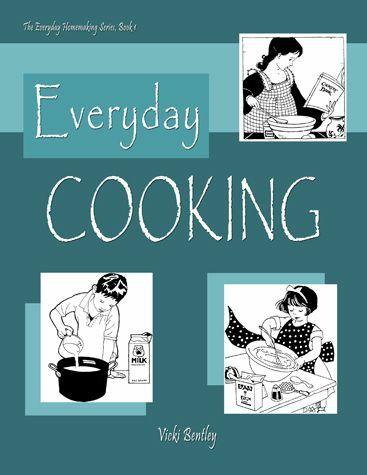 As part of The Schoolhouse Review Crew, I received Everyday Homemaking’s Everyday Cooking ebook. 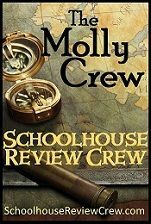 This review is part of The Molly Crew. The Molly Crew provides product reviews for your home and family. Everyday Cooking is a collection of tried-and-true recipes for simple, everyday cooking with an emphasis on whole foods. Vickie Bentley is a busy homeschooling mother of eight. She knows what it’s like trying to take care of a family and put tasty, nutritious food on the table every day. Everyday Cooking also has plenty of hints and tips to help you. I didn’t print out the ebook, I used it straight from my computer. Check out my tip for cooking with the computer. Everyday Cooking will make a nice cookbook when printed out. I very well may do so in the future, especially as my daughters start making more and more recipes from it. The only thing I didn’t like was quite a few recipes called for instant rice. I never use instant rice. 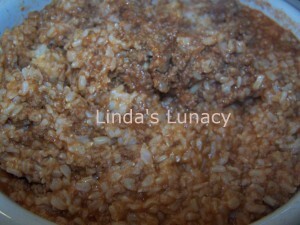 I try to use brown rice most of the time, but my husband prefers white rice. So I make that about half the time for him. Other than that, I didn’t have any problems with any of the recipes. There are a lot of recipes that I want to try. I also found quite a few recipes that I’ve seen before online. It does make it handy, though, to have them all included in this cookbook. Italian Chicken and Rice This recipe was one that called for instant rice. 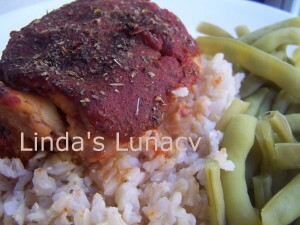 With a simple adjustment, I served it with brown rice and green beans from our garden. Hamburger Gravy – served over our homemade biscuits, it was a lunch that the kids loved. My mother used to make something similar when I was growing up, only the gravy was milk based. It’s nice to have a non dairy version. Chicken Taco Rice Ok, that’s not chicken, it’s hamburger. That would be user error. I guess I was thinking “tacos” when I pulled the hamburger out of the freezer. It was already defrosted when I realized my error, so I just went with it. This picture was taken before the cheese was added on the top. 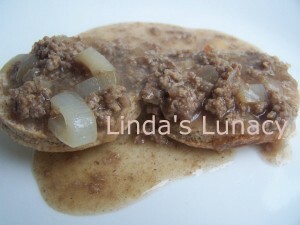 Chicken or beef, this is a recipe that my family loved. Next time, I will use chicken and try serving it on a bed of lettuce with diced onion and sour cream on top. yum! 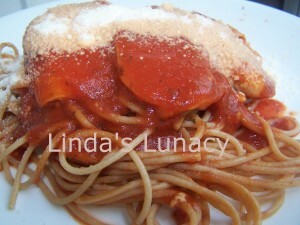 Italian Chicken and Pasta was another winner for my family. I served it with zucchini from our garden and it was delish. This will definitely be a regular on our menu. I haven’t tried any of the desert or bread recipes yet. I went straight for the main courses. Those are the recipes that make the biggest difference in cooking for my family. I know my daughters will love to try all the desert recipes. You can view sample pages , 12 in all, including the table of contents. Under the picture of the book, click “Preview” . Everyday Homemaking is a great cookbook and kitchen help for young and old alike. With all the extra helps included, it would also make a great addition to a home ec course. Everyday Homemaking is a 100 page coil bound print book selling for $17.99, $14.99 in eBook form. If it would be of help to you, the recipes to which you refer are probably calling for converted or parboiled rice (which is a step between white and brown, but it is not instant – it has more nutrition than white but a bit less than the brown–it’s brown rice that is pressurized to PARtially BOIL it to reduce the cooking time slightly, to 20 minutes; in the process, the nutrients are driven inside the grain before polishing, so it retains more of the nutrients than white rice — it’s tan). There is one recipe that calls for instant simply because of how quick it is (taco rice), but I should revise that to give the option of precooked regular or brown rice! Your meals look lovely! Thanks for sharing the photos and your thoughtful, candid review.